You know how I said I wasn’t going to update y’all on every month we spend in Chicago? I changed my mind. It’s a fun way for me to look back on our adventures over the past month. In July, Chicago really started to feel like home to us. We love where we live and have gotten to know our way around our area. I can’t wait to show our home to friends who visit. Speaking of visitors, we got to see both sets of parents this month. My in-laws came into town for a weekend, and I had a great time exploring Chicago with them. Chris happened to get one of the days they were here off, so we went to the Art Institute of Chicago and the Field Museum. 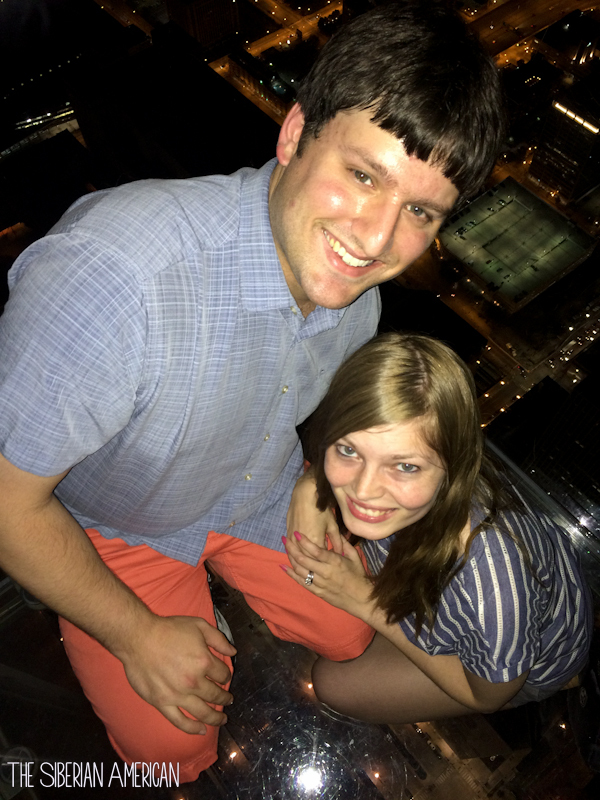 My brother-in-law really wanted to do the Skydeck at the Sears Willis Tower, which I had purposefully left out of my list of things to do in Chicago because I am scared of heights. I loved it. It was so neat to see the view of the city from the 103rd floor. I’m glad we went at night because we got to see the sunset and the beautiful city lights. My parents happened to be in town on my birthday (They had been visiting friends near Milwaukee and had flown in and out of Chicago. The crazy part is my dad booked those tickets before we knew we were moving here. It was a total God thing), so I got to see them in the morning for a couple hours. I loved being able to show them our new place. July was a festival month for us. 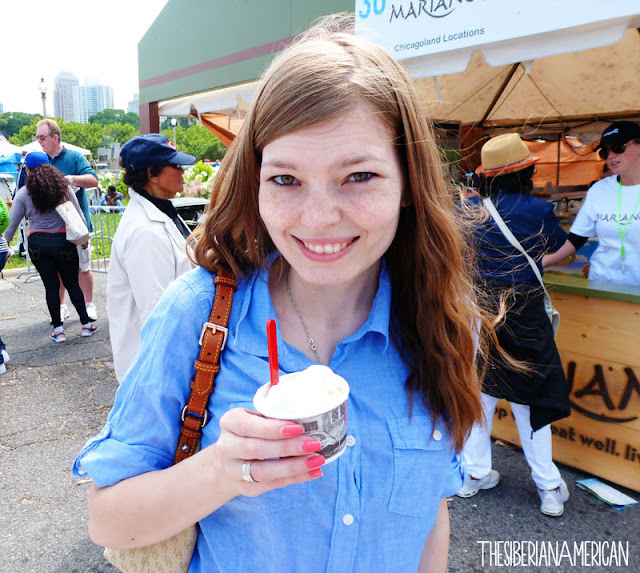 We started off by going to Taste of Chicago, and then we went to the Pierogi Festival in Whiting, Indiana on the weekend after our birthdays and anniversary. The pierogis were delicious, and it was the kind of silliness we needed after a super week full of night float. Speaking of night float, this month was our first experience with Chris constantly working nights. He had one night earlier in the month, but for the past two weeks and a half, he has been working from 5 p.m. to 7 a.m. every day. No fun. I tried to switch my schedule to match his, and the results have been entertaining. He is finished on Tuesday, and I am jumping for joy! Before night float started, we went on our first day trip adventure to the Indiana Dunes. Chris, of course, picked the only trail marked rugged, so we were hiking in deep sand in sandals. 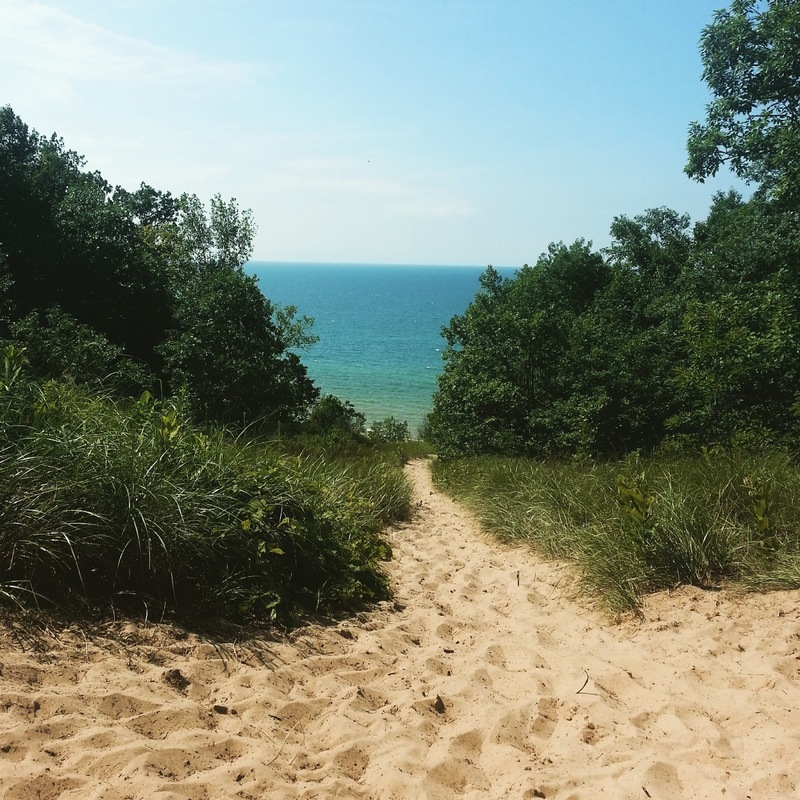 Each step felt like I was doing the stair stepper machine at the gym, but the gorgeous views of Lake Michigan were worth it. Have I mentioned how much I love Chicago in the summer? I am not missing the 100-degree temperatures back in Texas (though my in-laws brought the heat with them when they came. Our day doing the hop on hop off bus was scorching). I am enjoying the beautiful weather here while I can! I could honestly say a million more things about our July in Chicago, but this post is already long, so I will end it here. Here’s to another great month in Chicago! Glad you are enjoying Chicago. I totally need to visit one day. Glad to hear that Chris isn't working nights anymore. Yay! 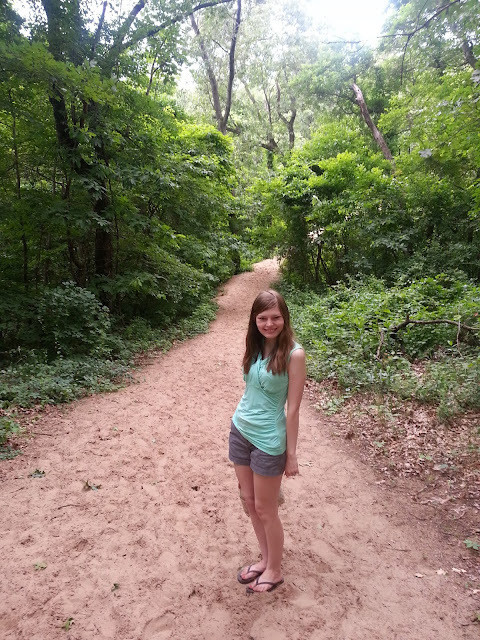 I love the Indiana Dunes! BUT you are right... it is so hard to get up them. I went to college somewhat neraby! Looks like a great 2nd month! I'm so happy you're enjoying your time there! gahhhh that photo of y'all at the sears tower scared the bajeesus out of me. nooo thank you. Aww so cool that your parents got to visit! Looks like you are thoroughly enjoying your time in Chicago! I love reading life updates so I'm glad you have decided to do them! I'm glad you are enjoying Chicago! Those pierogis look delicious! I'm going to have to add that festival to my bucket list. I can't believe it's been two months already! It sure looks like you're doing Chicago right! That's so great that you got to see your parents, and crazy it was booked before you even knew you were moving! I looove pierogis. Those look delicious! So glad that y'all are having a great time, and you're definitely not missing anything with this crazy heat! Hiking in deep sand is no fun no matter what footwear you have on, but glad the views made up for it. Sounds like you've been having fun and happy to hear you're pretty much settled! 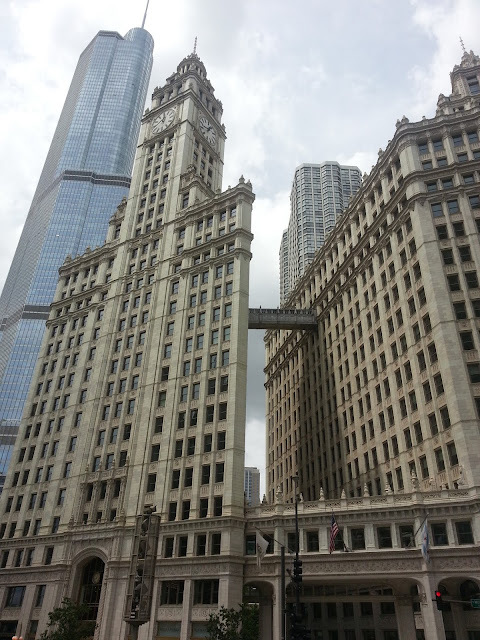 Im afraid of heights to but went up in the Sky Deck and on the glass floor for a couple seconds before chickening out. Both festivals sound fun! So glad you've been having an awesome time and that you are all settled in. Those photos are stunning! !